When waterproof jackets are mentioned online, Gore-Tex is bound to make an appearance. Known as the waterproof fabric technology, which is also highly breathable as opposed to other waterproof fabrics, which lack in this regard, Gore-Tex has become a household name over the years. Men and women all over the world, who are looking for high-performance jackets that can withstand unstable weather and extensive physical activity, will definitely be directed towards Gore-Tex by those that have tried jackets made from it. And that is understandable, of course. However some would argue that Gore-Tex is not the “be all, end all” of waterproof fabrics. This is what brings us to today’s selection, where we went on a search for some great alternatives to Gore-Tex, so that you can have different options and make the right decision when looking for a new jacket. We have previously looked at two Gore-Tex alternatives, which are DryVent by The North Face and OutDry, used by Columbia, none of which will be included as we would like to look at some different alternatives. We will structure this selection a bit differently, as we will be looking at fabrics as well as jackets. For this, we will first take a look at the Gore-Tex alternative fabric and then at the jacket we have chosen to represent the fabric. Let’s start with eVent, which is considered the closest alternative, and sometimes even the preferred option, to Gore-Tex. A highly breathable fabric, made by Direct Venting technology, which allows the fabric to breathe while blocking out wind and rain, eVent is made using ePTFE, which is similar to what Gore-Tex uses. It comes in different versions which range from 10m to 30m in water column level, with the 10m one being the most breathable one and the 30m one the least at 10.000 g/m2, which is still highly breathable. These three options of waterproof levels provide well-rounded quality protection, but are used for different purposes such as hiking, fishing, hunting, trekking or cycling. This is done because different activities require different clothing, some more agile and others more robust and durable as opposed to lightweight. 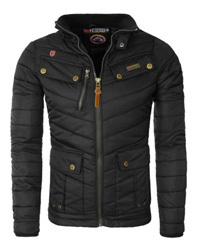 The jacket chosen to represent eVent in this selection is Elite 2.1 by Showers Pass, with options for both men and women. Made of 100% Nylon, with an eVent and Elite 3-Layer fabrics, it is body-mapped in order to maximize breathability, while eVent provides complete weather protections. There are several vents on the jacket that make it highly breathable, which are especially useful when the temperatures are unstable and might rise out of nowhere. With reflective strips on the back and sleeves, you are fully protected in bad weather and dim lights. 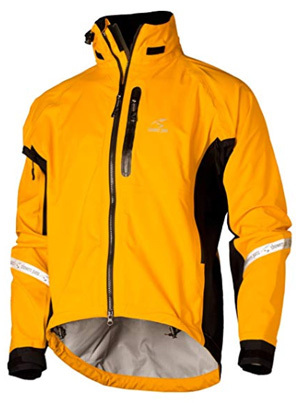 This is a cycling jacket, but not limited to just that, of course, as it can be used in other activities where you need to move around quite a bit. The next one is Pertex Shield, a waterproof fabric that is considerably breathable and incredibly lightweight. It is quite durable, because it was designed for challenging outdoor activities such as mountaineering or hiking, where you will have to deal not only with different weather conditions, but with nature as well. It comes in three layering variations: 2, 2.5 and 3-layer constructions, which fulfill different requirements. Just like Gore-Tex, it is finished with DWR, which would require maintenance after some time. Two of its best features, apart from being weatherproof, are its ability to pack into a small size and adaptability to movement, so that it won’t come in the way while you are out enjoying your time. 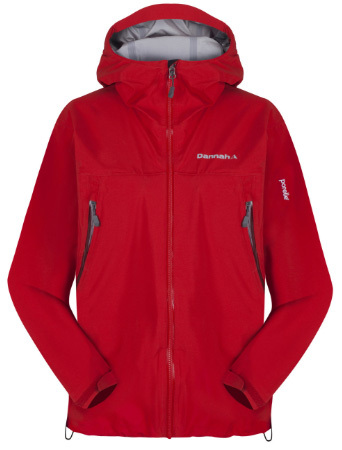 The jacket we chose is by Outdoor Research, the Helium II for men and women. It is made of Pertex Shield+ 2.5L, with fully taped seams and an attached hood. This is a versatile design as you can wear it as a rain jacket on top of a down one, or on its own. 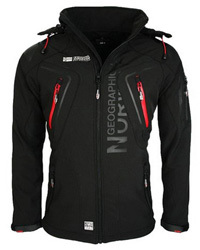 It is breathable and fully waterproof, as well as windproof. 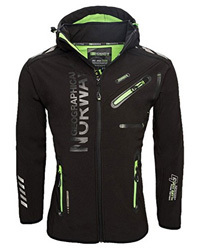 It comes with reflective zippers and hood trim to keep you safe in bad weather. Now, let’s look at another fabric technology used by Columbia, Omni-Tech. 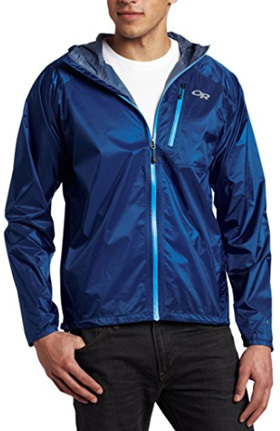 Omni-Tech is a fully waterproof fabric that is also quite breathable. Albeit not as breathable as Gore-Tex, but enough so that it makes Columbia’s affordable jackets a favorite among many Americans. It is built as a multi-layered system, with the outer layer fully waterproof, while the membrane is air-permeable to keep the jackets breathable. The Evaporation jacket for men and women uses the Omni-Tech fabric technology, which makes the jacket waterproof, also helped by the fully sealed seams. It has an adjustable hood, which is attached to the high collar. This is a jacket that works best as a rain jacket, not very suitable for strenuous activities as it is not too breathable. This is mediated with pit vents, but only to an extent. For this reason, it is best worn in bad and cold weather. Porelle Dry by Dannah is a waterproof, windproof and breathable membrane, which is made of a microporous PU membrane. The fabric goes through a unique coating process, which withstands numerous washes without losing its ability to repel water. A quality of this fabric is its flexibility and light weight, that make it very useful for challenging sports and outdoor activities, as movement won’t be hindered by an inflexible and stiff jacket. It is also durable to wear and environmental conditions. This membrane is hydrophobic, and it allows moisture to wick away as water droplets, by utilizing the body’s heat. The Lightweight Alpine jacket comes in both women’s and men’s options and it was made for active people. It has a hooded collar and a lightweight design, with an athletic silhouette that adapts to movement, while keeping you protected against the elements. It is a versatile design as it can be worn in numerous outdoor activities, due to its waterproof and highly durable membrane. 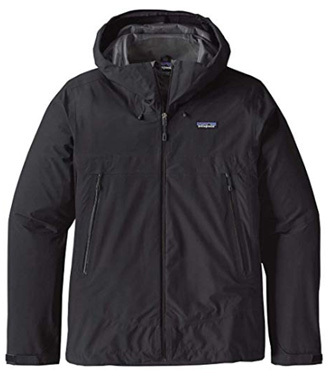 H2No by Patagonia is a 3-layer fabric, made to be fully waterproof, windproof and breathable. This is achieved through a combination of different elements, which include a water-repellent shell, a breathable membrane that is also waterproof and a knit backer that binds to the membrane. The final product is DWR-coated for repelling rain and snow, while also preventing saturation of the shell by water, which would affect breathability. This fabric is regarded as one of the most durable ones, which is what makes jackets made from it so long-lasting. Cloud Ridge is the best jacket to showcase how well H2No works as a fabric technology. 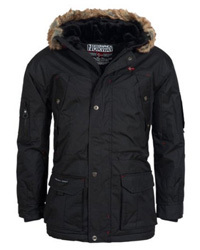 It is a waterproof jacket made of recycled Polyester, which comes with a hooded collar and adjustable sleeve cuffs. This is a functional design, that you can wear for outdoor activities as well as casual, daily wear in cold and unstable weather. 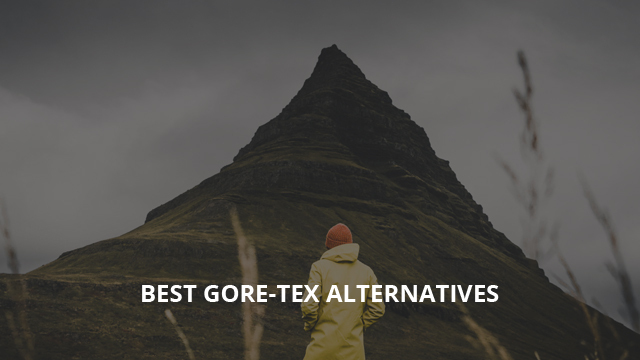 That concludes this selection of Gore-Tex alternatives and we hope that you have a better idea as to how different fabrics work. Previous Article← OutDry vs Gore-Tex Technology: Which One Is Better?